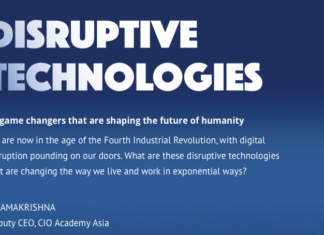 Leading up to CIO Academy Asia’s reThink CIO Forum: Finance-as-a-Service, we interview Deepak Ramanathan, CTO, SAS Asia Pacific on how cognitive computing (AI and Machine Learning) is transforming the customer service experience, and its adoption in the financial services sector. According to the Technology Vision Report 2017 by Accenture, Artificial Intelligence (AI) is the new UI. AI is coming of age, tackling problems both big and small by making interactions simple and smart. AI is becoming the new user interface (UI), underpinning the way we transact and interact with systems. Seventy-nine percent of survey respondents in the Accenture study agree that AI will revolutionize the way they gain information from and interact with customers. 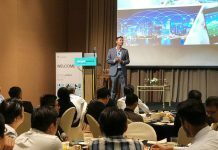 CIO Academy Asia (CIOAA) spoke to Deepak Ramanathan, Chief Technology Officer of SAS Asia Pacific, to understand how cognitive computing (AI and Machine Learning) is transforming the customer service experience. Ramanathan works with customers across industries in identifying business issues which could benefit from an analytical outlook and helps these organizations in rolling out these analytical solutions. His current area of focus is around Machine Learning, High Performance Analytics – working with clients to build use cases and deploying it within the organization. He has been working with customers in Financial Services, Manufacturing, Retail and Loyalty Optimization and Communications customers to identify and build the appropriate business cases. The promise of AI has been talked about for a while now. Are we seriously entering the era of AI and Machine Learning (ML) this year, we asked Ramanathan. The heavily hyped, driverless cars? The very essence of machine learning. Recommendation offers that pop up during our online shopping sprees, which are often too personalized to be true? Machine learning applications for everyday life. Knowing what customers are saying about your company on social media sites? Machine learning combined with linguistic rule creation. The role of AI and analytics helps in the development of a more comprehensive and insightful understanding of customers, by introducing the automation of insights that helps to maximize the efficiency and reach of marketing programs. In this background, can AI improve customer service/customer experience for the financial services sector? Ramanathan drew our attention to the insurance sector, where the distribution model is changing rapidly. 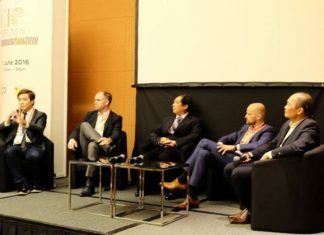 While the agency will still be the major source of business, especially among customers requiring advice to better understand more complex personal and commercial products, we have seen the increased demand for consistent messaging across different channels – such as mobile and web – and customers are becoming savvier in their buying needs, he said. Talking about a new technology is different and embracing it in practical terms is a different ball game altogether. 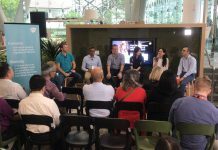 We wanted to know if AI and ML adoption has been increasing in Singapore and the region in a significant way? Are local and regional companies here making investments in these technologies? Every new technology also breeds concerns around it, whether it will be a security risk or whether it will have other implications for an organization. Are there concerns around the application of AI in the banking and insurance sector? Are these more to do with security and regulations than the technology itself? We wanted to know Ramanathan’s views on this. According to him, the banking and insurance sector uses artificial intelligence for two key purposes: to identify important insights in data, and prevent fraud. The insights can identify customer acquisition strategies, investment opportunities, or help investors know when to trade. Data mining can also identify clients with high-risk profiles, or use cybersurveillance to pinpoint warning signs of fraud. “Many banks are already overwhelmed by the increasing amount of data that require storage and analysis, and the data influx will only continue. As companies come to terms with the digital revolution, there will also be increased exposure to risks,” he pointed out. “Banks will continue to face the challenge of capturing data efficiently and effectively while fending off fraud and cybercrime, all while the pressure of providing their customers quality services and products remains,” he said. The other concerns are around AI and ML’s impact on jobs. 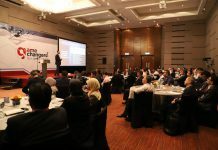 “As companies continue to embark on their digital transformation journeys, we expect the use of AI and robots to play an important role in their transformations,” he said. According to a report by the World Economic Forum, 5.1 million jobs in the U.S., India and 13 other leading countries are expected to fall to robots and other forms of modern technology by 2020. In this context, the use of robotics should be viewed as an enabler for us to address labour costs and shortage, allowing us to focus on work that is high value and innovative instead, he said. Cognitive computing is one of the key topics to be discussed at the reThink CIO Forum: Finance-as-a-Service on the 23 February 2017. Visit our event website to learn more about our programme. Registration is still open to CIOs, CISOs, Head of Technology or Operations from the financial services industry.